What do you want to see in GD3 ??? Can you make it my lifetime access transfers over ( when I get it ) other than that I am excited! It's interesting to hear of stories of how guns have malfunctioned, sometimes a gun is purely known for that. Maybe model interaction e.g. tapping the trigger to fire, the clip release or the magazine to reload, etc. all of this sounds intruguing to me. malfunctions are always an issue when it comes to safe operation of a firearm, and all of the features listed that the development team wants to add have really caught my attention. but the only question i really have about GD3 is: will it continue to be freeware, or will we have to pay to get the program? 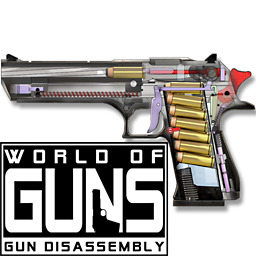 if it will still be free for pc, i will be glad to download it i have followed gun disassembly, and even other projects that noble-empire has done, from the very start with the original gun disassembly app on ipad, and i would love to continue following their works. i have learned so much from the programs put out, and i look forward to learning so much more in the near future. i also have a suggestion. have any members of the development team ever thought of putting these apps/programs on the windows app store, for devices such as windows tablets? ive noticed that when i use the desktop program on my tablet, i cant utilize the camera pan function when using touch screen. Is there any update on the development of GD3? Wow GD3. Are you just going to start fresh with GD3 or guns from GD2 will be in GD3? Shot in the dark here, but I'm guessing that GD3 isn't gonna happen now that you have World of Guns. And my lifetime access proby won't transfer either huh?